Founded in 1823, Auchentoshan are the only distillery in Scotland to have a third still. This is for the triple distillation of every drop. This has to be taken in context as they are not the only Scottish distillery to triple distill. Distillation takes the fermented liquid at Auchentoshan from around 8% ABV (alcohol by volume) up to 81%. Double distillation usually reaches just 70% ABV. Auchentoshan new spirit is the highest distillate of any single malt distillery in Scotland. This is claimed to make it cleaner and crisp in the mouth. Palate. Mild spices, sweetness, orange peel, citrus and oak. It is gentle on the tongue. Auchentoshan 12 Year Old Must be nuts! 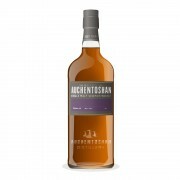 Auchentoshan 12 Year Old I Blame Systemdown And Markjedi! try to taste a rosebank while you still can. they are going going gone. . . . I know what you mean but it's so subjective. This got 91 in the Whisky bible but I just didn't rate it this highly. Out of the 4 bottles we tried at the cob this month 2 put it 1st of 4 and one second and i listed it third. My lowest rating is 65 and so I guess it depends on your scoring spectrum.